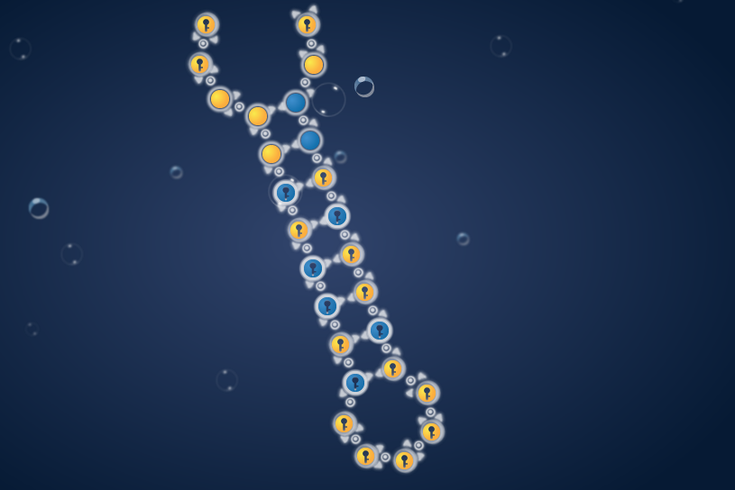 In the online game "Eterna," players must solve puzzles that involve connecting base pairs in RNA molecules. Supercomputers might be able to beat humans at chess, but they can't beat them at biochemistry, a Stanford study has found. As Reuters reported, researchers needed help studying a type of genetic molecule called RNA. Understanding RNA is the key to creating new antibiotics, vaccines and cancer drugs. So scientists at Stanford and Carnegie Mellon University in Pittsburgh created a game called Eterna. More than 100,000 people have signed up to solve puzzles that, in reality, help researchers understand the way that the molecules fold. Scientists have found that the collective efforts of these gamers have been more helpful than supercomputers in creating RNA models. Out of gratitude to the legions of players who have contributed their free time to science, Das listed "Eterna Players" as authors in the study, published this Wednesday in the Journal of Molecular Biology. It is the first time that "citizen scientists" recruited through a video game have ever been listed as co-lead authors in a scientific paper.